Planning a business trip to Japan or working with the Japanese? Meet Azumi Uchitani, our leading Japanese senior executive consultant and TEDx speaker. We are pleased to offer you one hour of free coaching with Azumi to leverage your business in Japan. – Why are they taking so long to get back to us? – This email sounds nice, but what do they actually mean? – When can we finally make a decision? – Did I say something rude? – What are Japanese business manners? Then take this hour of coaching with Azumi! No business without tea! We are delighted to invite you to this business consultation about the formula for success when working with the Japanese and how to overcome your challenges in a multicultural business. Azumi will be pleased to welcome you to her Japanese salon in Bussum for a traditional Japanese tea session to talk about your business case. Prefer to have your appointment either by phone, Skype or at your own location? No problem, that is also possible. This special offer is available during the month of April. In Japan, April marks the start of the fiscal year (financial year ends on 31 March) and also the start of the new school year. So besides the celebration of Sakura, April is the time for new starts in both business and education! This free offer is available during the month of April. Requests and appointments need to be scheduled in April. The appointments are subject to availability. We offer one hour per company, attended by up to 4 people per company. Consultation can be by phone, Skype or face-to-face. 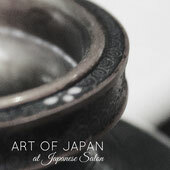 Venue is the Japanese salon in Bussum or an alternative, to be agreed by both parties. Any travel expenses incurred by the consultant will be for your account.